1. Arrive on time - if he says arrive at asr it means at his house not that's the time you set off. Seek clarification on exact time if needed. 2. Greet and welcome with gifts. 3. Sit where he tells you. 5. Do not look around the house without his instruction and lower your gaze. 6. Do not interrupt his speech. 7. Agree with what he says and seek clarification if necessary. 8. Do not nod your head excessively to mean that you understand. So pretend if you have not heard something before even if you have heard it a million times. 9. Do not outstay your welcome - so take a hint to leave. 10. Leave with blessings, do not prolong your farewell. 11. Beware that he has limited time and do not exceed your time slot. If he says he has to go at a certain time then leave before then. Its always best to leave in good spirits than become a burden and outstay your welcome. Ramadan times: are you ready to disagree? The famous British boxer Henry Cooper used to do a commercial about the Flu Jab. At the end of this public information film he said, "Get your jab in first." Because a punch is also called a jab as well as an injection! So here, I am getting my jab in first. The times of the prayer/Ramadan calendar use are based on the degrees that the sun is close to the horizon. There are two degrees that people use either the eighteen degree or fifteen degree. So depending on which one, you follow one the closing time of the fast changes. For years, the majority of masjids regardless of group affiliation have followed the fifteen degree rule. The eighteen degree rule has been creeping in the last few years in particular for this time of year. In June, July and August there is a problem with Isha time because technically the time does not enter. According to Abu Hanifah (may Allah show him mercy) the time for Isha is when the whiteness disappears from the sky and according to Imam Muhammad and Abu Yusuf (upon them mercy) it is the redness. Therefore, in these times the whiteness remains and sometimes the redness does not go. Therefore, you have a problem. When does Isha start? You will have to observe the sky and see when the redness goes and this normally takes about one hour and a half. At the same time, the whiteness might not go at all. However, the Isha prayer has to be done. The masjids normally pray Isha one hour after sunset following Imam Rida Khan (upon him mercy) opinion for these circumstances. So some Hanafis follow the Shafi opinion, in these times, because the Isha time enters as soon as one has made ablution, prayed fard and Sunnah. Technically its about fifteen to twenty minutes. Most masjids follow Imam Rida Khans positions in Isha time. But if one does not then the there is no Isha time and thus no Fajr time. This gives us a big problem especially in Ramadan. This is the main cause of disagreement, there is no time of Isha. My advice for Isha is to pray with the masjids and pray fajr when it is clear that the time has entered. How is the timetable worked out? Well, the normal timetable gives the start time of the fast to be about two hours before sunrise. Then an extra fifteen minutes before the time ends. Therefore, if sunrise is at five am then the time of ceasing eating is about 2.40 or so. Give or take around ten to fifteen minutes. There is also an opinion that you can keep eating up the time of the call to prayer but that gives you a problem, especially with a mouth full of food! That is the reason for that extra time. This is according to the 15 degree table the 18 degree will be at 1.30 and might stay that way for the whole month. Based on Abu Hanifahs position that the twilight does not go. For eight years I have observed the skies for true fajr, and come to the conculusion that it does not come until 1.45 or 1.30 before sunrise. This is in normal situations around the year based on viewing the skies. The true dawn is when light emerges from the horizon and continues to grow horizontally. The vertical light is false dawns because it is light from the galaxies. To say one must fast at 1.30, and nothing else is allowed, is not valid as far as I am concerned because there is no eyewitness testimony to it. It is based on degrees and calculations rather than actually observing the skies. This opinion is spreading like wildfire within the masjids and I see it as unnecessary hardship. In addition, if these fasts were not valid then last time the fasts were in the summer had to be made up. Yet, no one has said that. Was it because we did not know? Well, you might to make up four months of fasting then! Ibn Abidin (upon him mercy) in, Ashi'at-ul-lama'at, and Ni'mat-i Islam, states that fasting by calculation or by referring to a calendar before seeing the New Moon is not permissible. The hadiths about the months are about looking at the moon and not following calculations that is where the 18 degree rule is founded. Rather, the fifteen degree one is closer to the actual eyesight as far as I can work out. The eighteen degree rule is based almost solely on calculations without having any eyesight testimony to back it up. The opinion that the ruling of Isha time coming in when the whiteness goes is a problem then how we decide on 1.30? It might be the latter part of the night or last part of the night. So in that situation the fast is valid in this time until two hours before sunrise. Its based on calculation rather than old fashioned viewing of the skies. It is my opinion that we in the UK should follow the fifteen degree rule and not the eighteen. Please note I am not saying those fasting 1.30 in the morning are doing something wrong but its not logically backed up by time of witnessing the sky. If you want to follow the 18 degree rule then its up to you. The Imams of the Indo-pak world seem to follow the 18 degree rule so will be against what we have presented here, that's fine. I do believe its putting unnecessary hardship upon other religious people which may lead people not to fast because of the infighting. More and more people are sick of seeing walking sticks at fifty paces when they enter the masjids. The Sunni infighting is driving people to other groups and it must stop. If you want to fight then do it in a sound proof room out of sight of the public. I also think that the indo paks are giving the 1.30 time so that people will attend the masjid for Taharawih prayer. If they said it was later then they fear that no one would attend because it starts around 11pm and it can take two hours. My advice is to follow the later times in your area which around two hours before sunrise. Do not be tempted to follow the wahabi/selefi times because they end their fast too late thus do not have one! I hope that I made this clear for everyone. Any questions, please add them to the comments section below. I am not interest in position rather I am interested in the truth. Neither do I have a position of power or influence, yet those who have knowledge fear me? If they had knowledge then they would not see me as a threat. Then again, big egos will be bumping into each other at this time of year until 'Id! Only Allah (the Exalted) knows best. Markaz Ul-Islami has made the following calendar click here. It is based on seeing the sunrise come in and not observations like others. I would encourage all those present in Bradford to use it. Also in May 28th scholars in Birmingham came to an agreement that the sunrise comes in 1 hour and forty minutes before sunrise. So I would advise all brothers and sister to use calenders that are using the later time. The later time based on astronomical timetables and not observation of the eye. When I heard the following statement made from the pulpit it shocked me and it appeared that something had to be said. Unfortunately, it has fallen to someone like me! 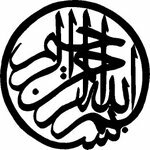 Anyway, it was that statement that whenever the Quran is recited one should say Subhanullah/glorified be Allah (the Exalted). "When the Quran is recited, listen to it and remain silent so you are shown mercy." Quran Al-Araf 7:204. Therefore, it was said that whenever the Quran is recited one should say Subhanullah. This ayah is clearly against anyone saying anything! Imam Al-Tabari (may Allah show him mercy) said, "Be silent and listen so you understand His passages, ponder the admonishments, be silent in order to understand and reflect, and do not converse so you will not understand it." Imam Al-Nasafi (may Allah show him mercy) said it is wajib/necessary to remain silent when the Quran is recited in the prayer and outside. Anyone who does not perform a wajib is sinful so the statement is not correct. The Asab Al-Nazul/reasons for revelation of this passage was because some companions used to talk in the prayer and greet each other (see Tafsir Ibn Kathir). However, this is not just for the prayer, it is in all situations. Though it is better to listen quietly to recordings than talk but it is permissible to listen to a recording and speak because its a sound of an echo, in terms of fiqh. But if a reciter is in ones presence, in the masjid, then they have to remain silent and listen. It is common in Yemen and other regions that people recite the Quran and they say Allah. Yet the verse is clear, one should be silent. If you listen to people hear the Quran, when a famous reciter comes to town, they get overly excited without taking in any of the warnings that they hear. Partly because they do not understand it and get excited when the recite over emphasises some words longer than he should. It is very sad and going against the clear ayah of the Quran. When the Quran is recited listen and be silent; the practice of the companions was to bow ones head in respect. The real danger is when people say Subhanullah when they hear Pharaoh say, Inna rabbuk Al-Alla/I am your lofty Lord. Would you say Subhanullah then? No, you would not! So heed this warning and ignore personalities who go against the clear verse of the Quran. If you do not know the meaning then find out the passage numbers and find out. Please click here to see Sheikh Yusuf Al-Nabahani's (may Allah show him mercy) forty hadith about the Quran which includes a brief commentary.